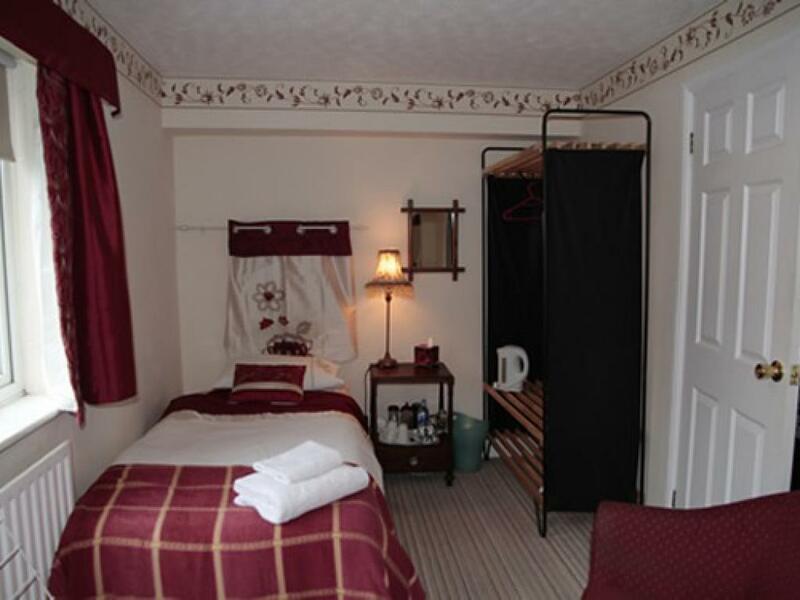 This superior double bedroom has a large ensuite facility with double sized shower cubicle, fitted wash basin and toilet. 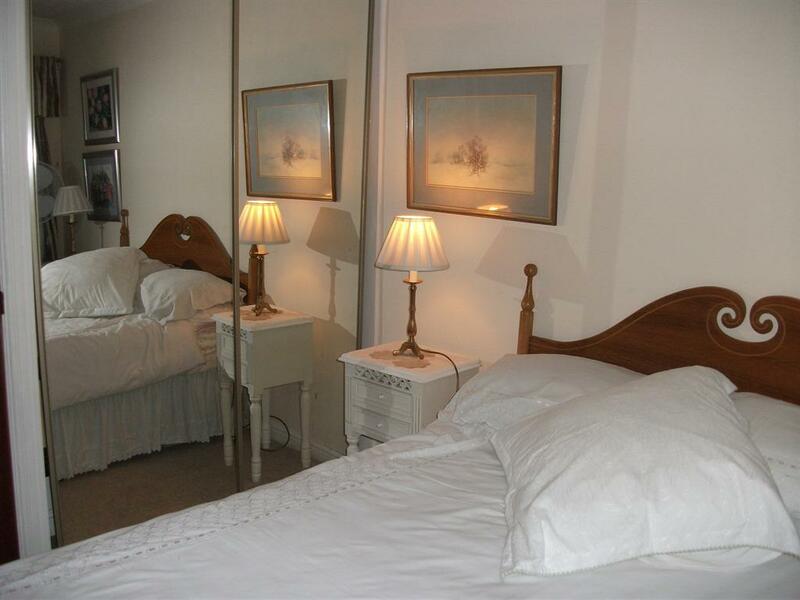 The king size double bed has an 11" deep orthopaedic mattress and wooden headboard. 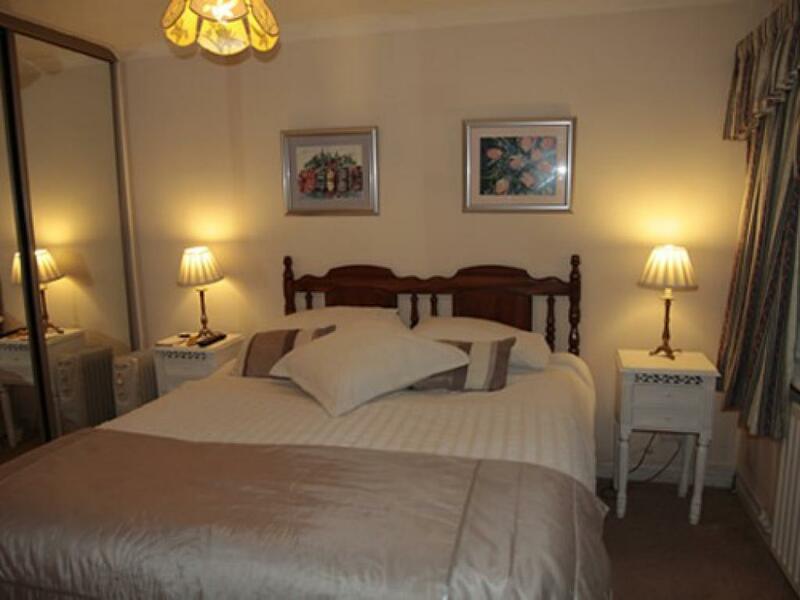 There is ample wardrobe space with a full length mirror and bedside tables with contemporary lighting. Additional pillows and blankets are available. The hospitality tray, is stocked with a selection of teas and coffee, with teapot cafetiere, and water. Fresh milk is available, please ask. 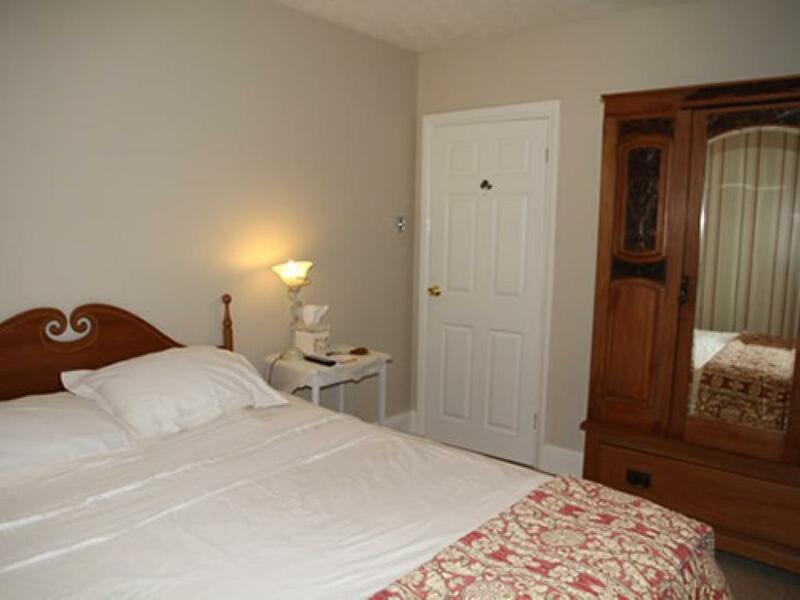 There is a wall mounted flat screen TV, free high speed Wi-Fi access, & information folder. The bathroom is well provided with natural toiletries, including shampoo, conditioner, soap dispenser and body lotion. Hair dryers and ironing facilities are available. Please ask. The resident's lounge with a small library, of books & DVD's is on the ground floor. 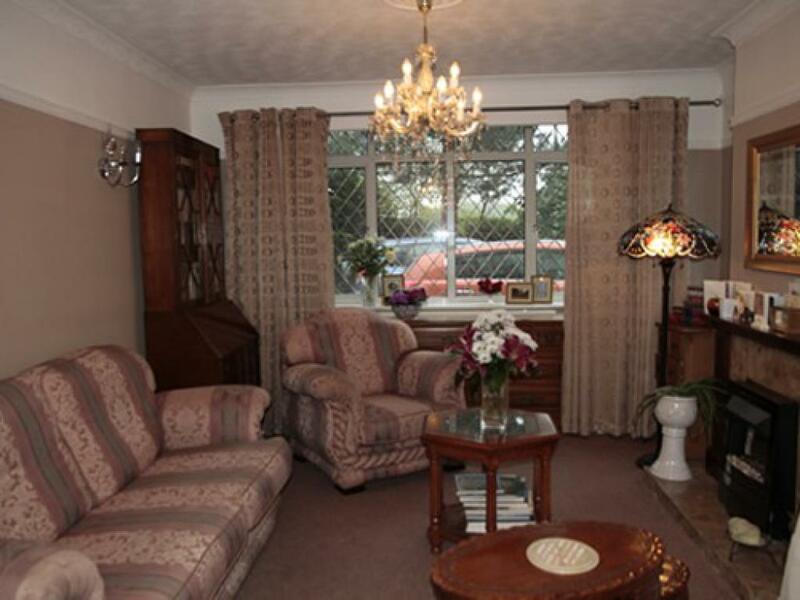 This large room also provides dining facilities. Breakfast is included in the price, and we cater for specific dietary preferences .Supper or 3 course dinner @ £7.50 or £25 may be ordered. A Meet and Greet service is available from East Midlands & Birmingham Airports [only 20 miles away] and local train stations. Free parking is available. Catering facilities are available for lunches, dinners and receptions. Please call for further enquiries. 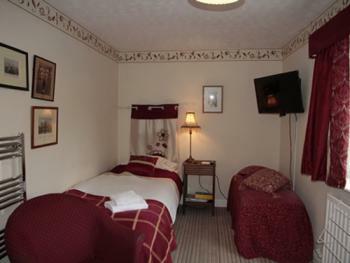 A large recently refurbished room, overlooking the garden, with new carpet and 28" flat screen TV and DVD player. There is a satinwood wardrobe and dressing table with a hospitality tray offering a selection of teas and coffee. 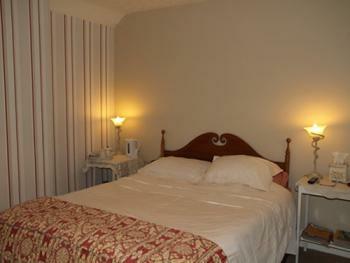 The room is 18' long with comfortable twin beds, a file giving general information of the property and general area.. 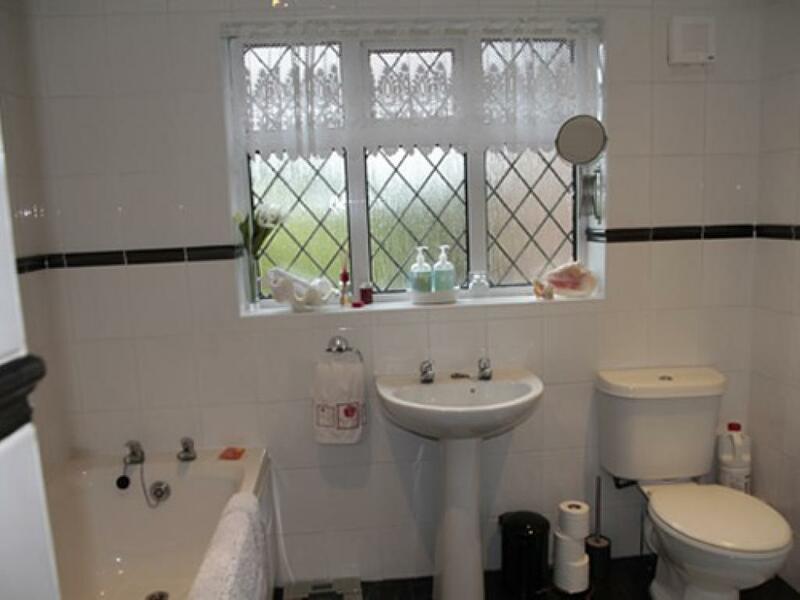 The modern fully tiled bathroom has a bath tub, separate shower unit toilet and wash basin. There is an additional separate toilet and washbasin nearby. All bathrooms are stocked with natural aloe vera products. 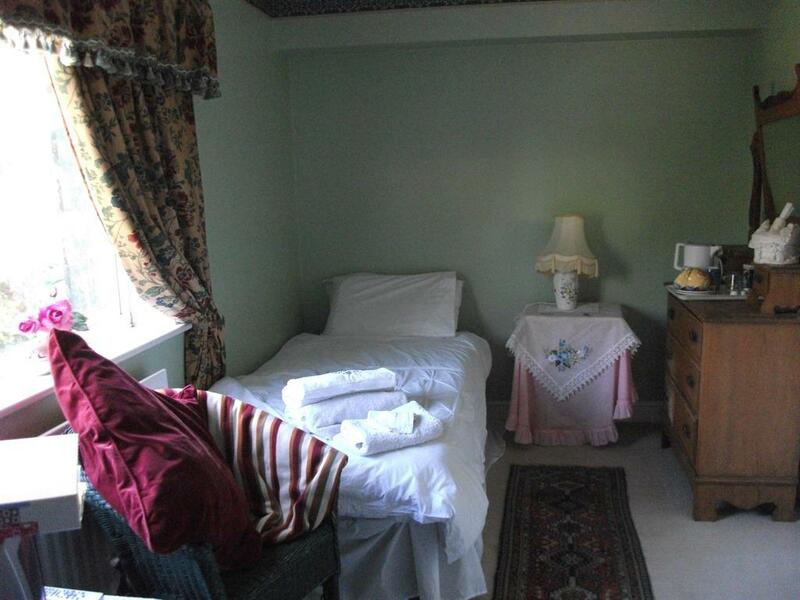 The residents lounge is available on the ground floor and also provides dining facilities. Evening meals are available on request. 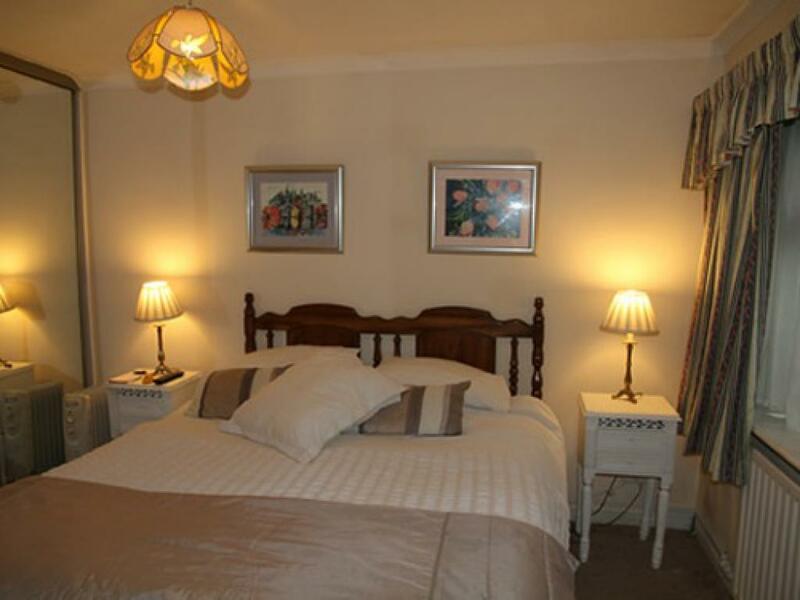 The Blue Room is a large, light and airy spacious bedroom with double bed, ample wardrobe space with full length mirrors Bedside tables with contemporary lighting. feature a selection of reading material and the hospitality tray. Additional pillows and blankets are available. The hospitality tray, is stocked with a selection of teas and coffee, with teapot cafetiere, and water. Fresh milk is available, please ask. There is a wall mounted flat screen TV, free high speed Wi-Fi access, & information folder. 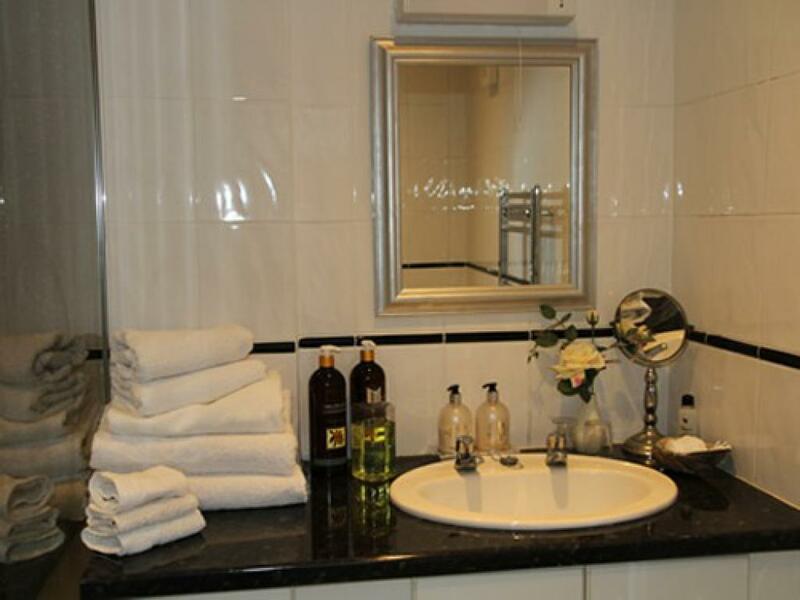 The bathroom is well provided with natural toiletries, including shampoo, conditioner, soap dispenser and body lotion. 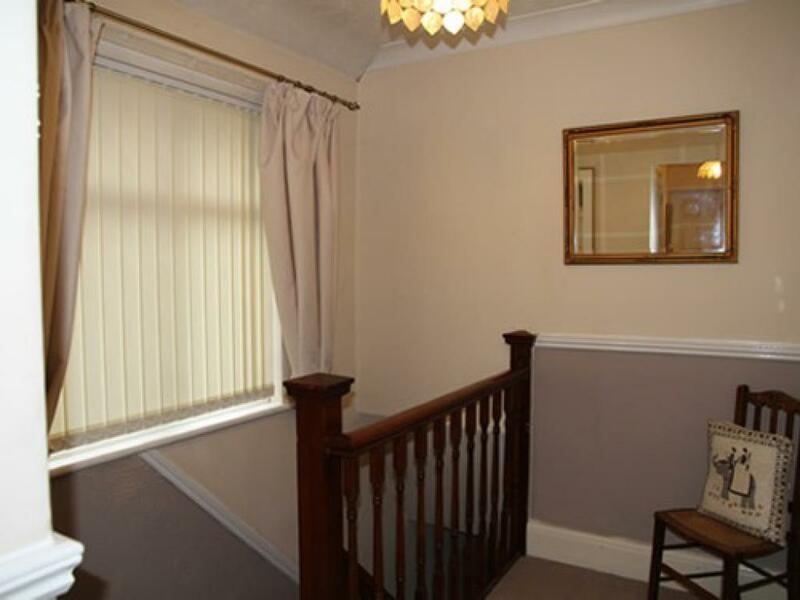 Hair dryers and ironing facilities are available. Please ask. 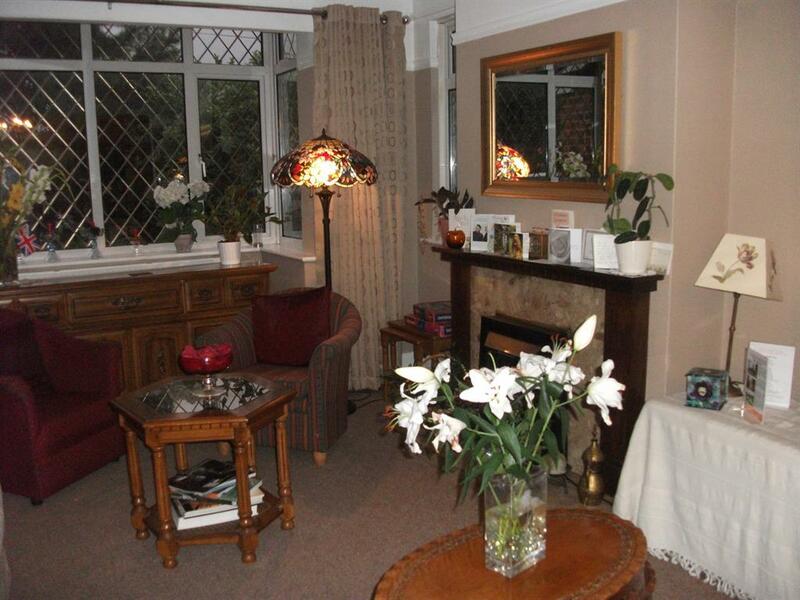 The resident's lounge with a small library, of books & DVD's is on the ground floor. This large room also provides dining facilities. Breakfast is included in the price, and we cater for specific dietary preferences .Supper or 3 course dinner @ £7.50 or £25 may be ordered. A Meet and Greet service is available from East Midlands & Birmingham Airports [only 20 miles away] and local train stations. Free parking is available. Catering facilities are available for lunches, dinners and receptions. Please call for further enquiries.